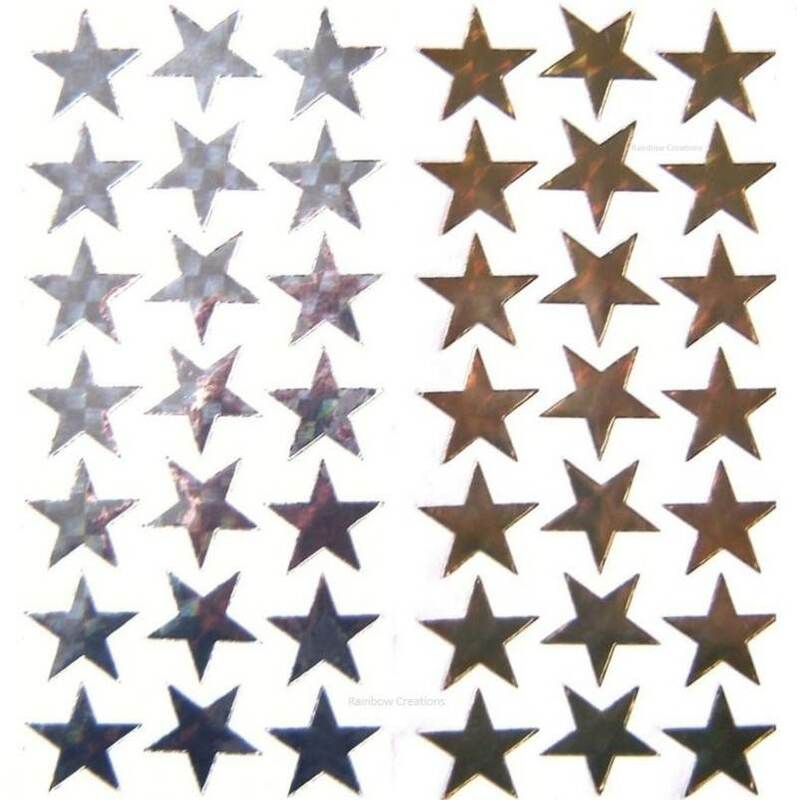 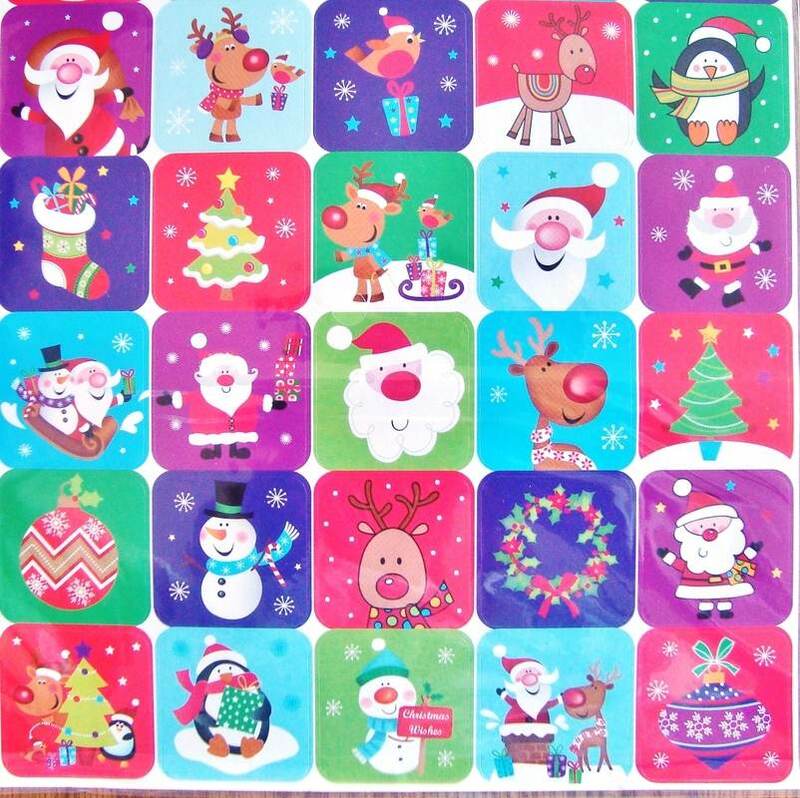 100 Christmas stickers for children including holographic stickers and glitter stickers. 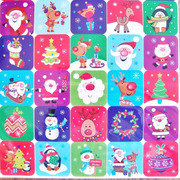 Use for sealing envelopes, children's Christmas art and craft projects and creative group festive activities. 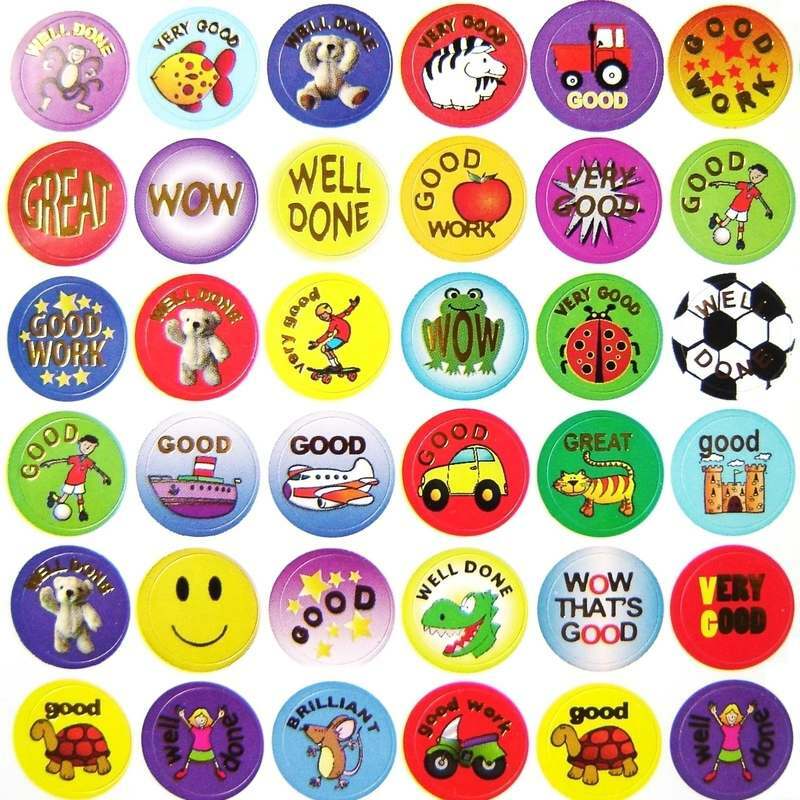 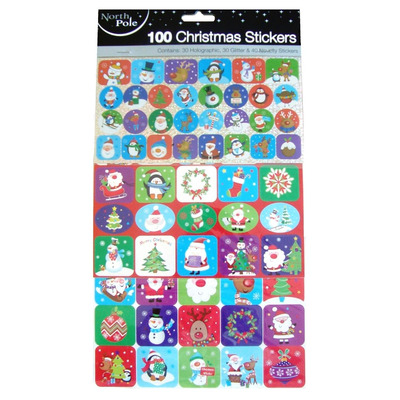 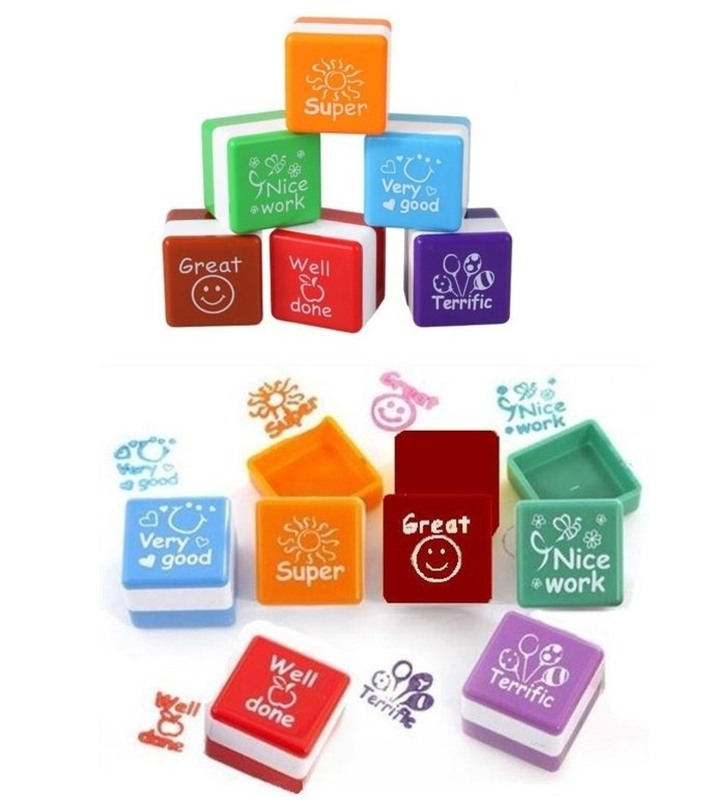 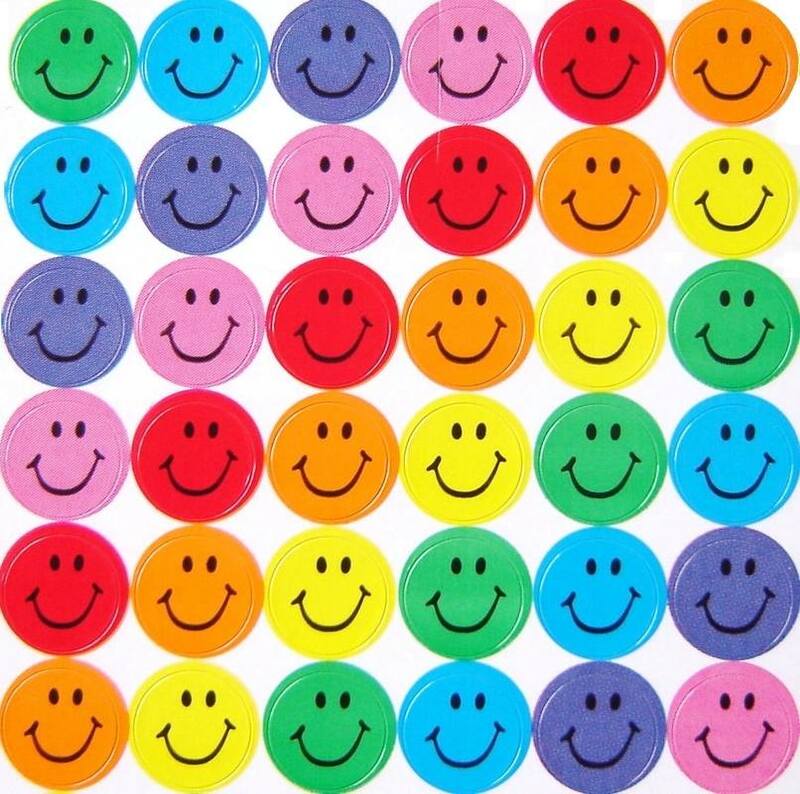 Supplied in a pack of 100 stickers of cute Christmas designs, including snowmen, reindeer, Santa, penguins and more.